OK, I’ve decided to definitely go ahead and re-release the (apparently) never delivered CDs from 2007. Why would I do that? Why try and burnish a non-existent musical reputation? A very good question, considering how Songs About Packaging from 2009 netted me something in the low-to-mid two figure range. Either I’ve drunk that cultural Kool-Aid that tells unpaid creatives to “never give up” or else I’m just fishing for compliments. Either way it’s a career of diminishing returns, I can tell you. I used to think that there might be time to re-record these songs better some day. Now I think they’re perfect, as is. Some audiophiles may inexplicably disagree with me, but I think that these 14 songs—played in precisely this order—are as singular a musical mark as I could have hoped for. 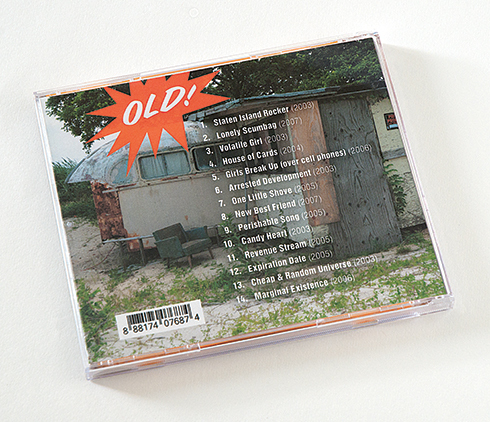 Anyway, the title of the new album is, Old! for all kinds of important reasons that we don’t have to even get into here. What I like about this title, is that, now, when someone says, “Randy Ludacer’s old,” it’s possible that they might be referring to my new album. The inserts for its jewel box packaging were designed by Beach Packaging Design—(of course). I’d been wanting for a while to design a CD package with something contained in that narrow compartment that jewel cases have. 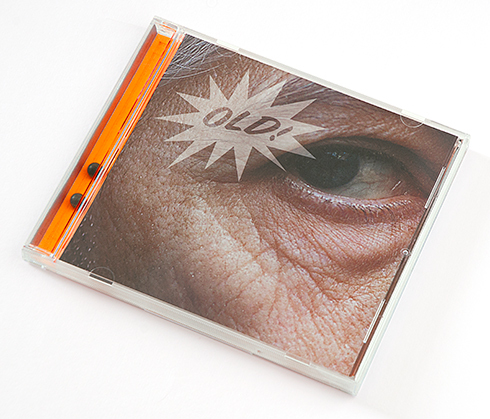 But what tangible object(s) would most suitably sum up that “old” gestalt? Two 1/4 inch ball bearings. Obviously. Sourcing was tricky. I wanted them to be rusty, so they had to be carbon steel, rather than chrome-plated. Being rusty, the ball bearings over time will draw a skid mark line as they roll back and forth over their fluorescent orange track. *Employees of Beach Packaging Design and their family members are not eligible to win. Some other package design strategies that we’ve employed here include the ironic graphic burst, an unexpectedly colorful interior and fluorescent orange branding. Note: It’s been pointed out to me that rapper, Danny Brown is also coming out with an album entitled “Old,” but although his recording career certainly outshines my own, I do feel equally entitled to entitle my CD in this way. After all, I’m older and my CD has already been released. (While his release is still pending.) 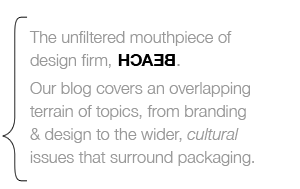 Plus, my title includes that breathless exclamation point. Therefore: not much likelihood of consumer confusion. Get Old! right now at CD Baby. IT’S ALL BRILLIANT!!! Mother or not, I do not give false flattery.